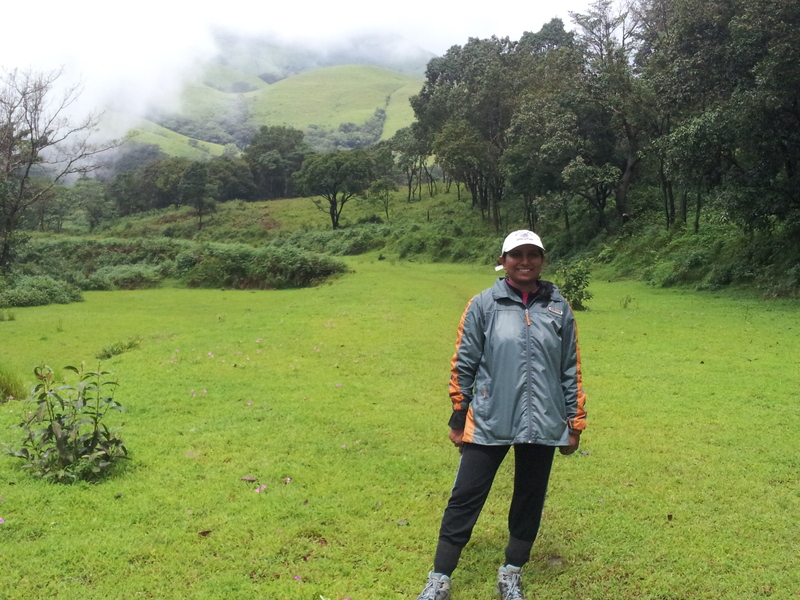 Well the uncertainty of completing the trek always bogged me , for KP being the toughest trek in South India, I was apprehensive about the whole trek. It was mid-December that we decided to scale Kumara Parvatha (KP). 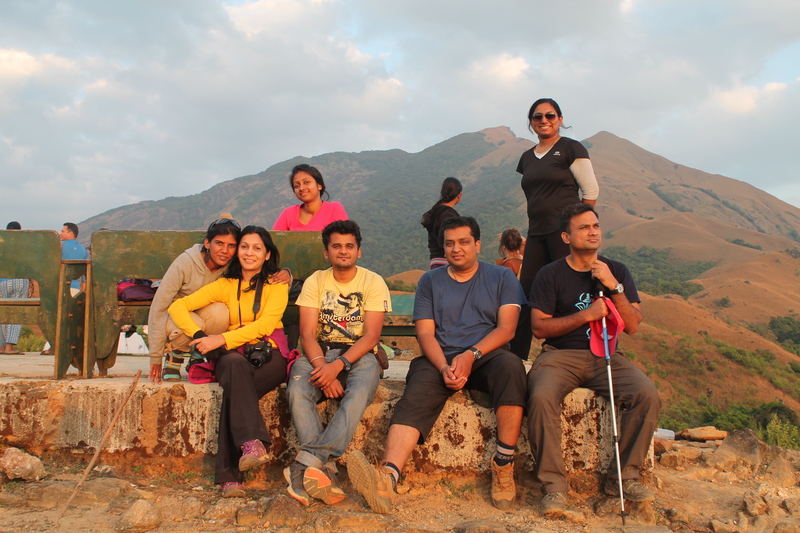 We planned to go in late January as the weather would be perfect for the trek . 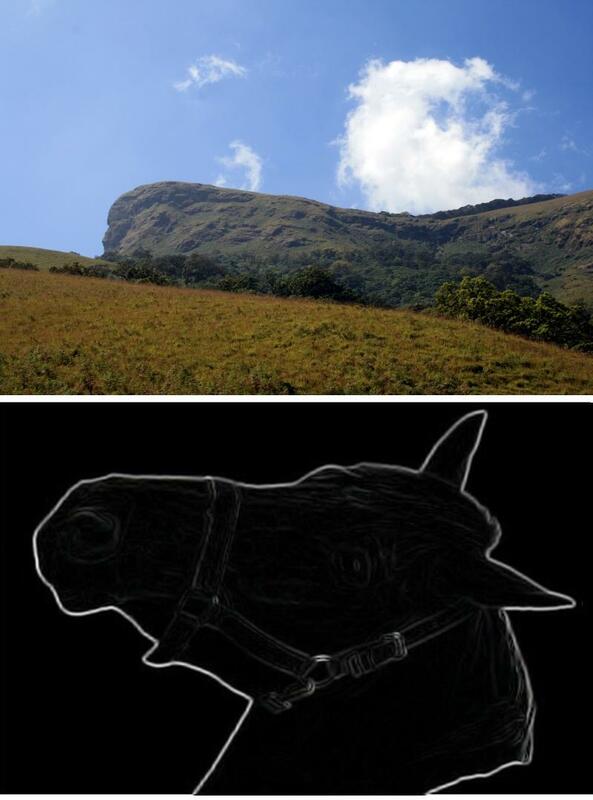 Kumara Parvatha or Pushpagiri , 1712mts(5617ft) is the highest peak in Pushpagiri Wildlife Sanctuary in Western Ghats of Karnataka. 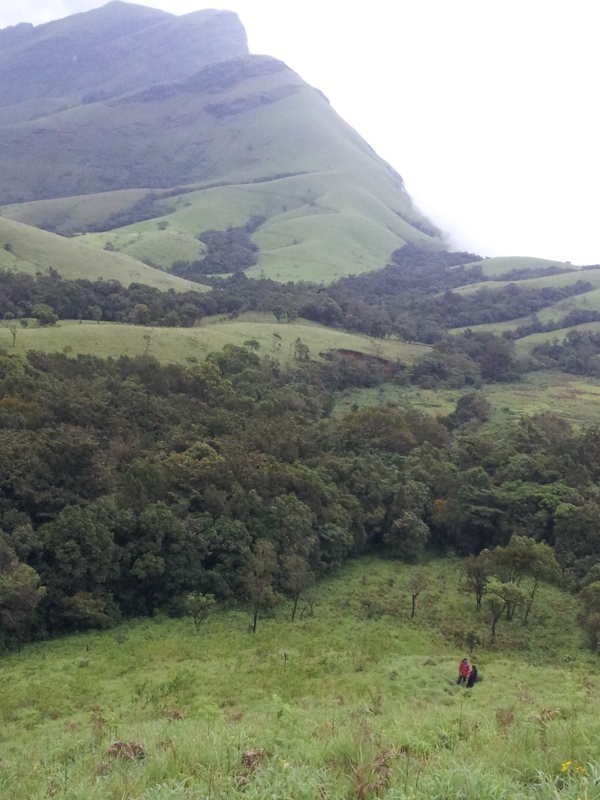 It is the 2nd highest peak in Kodagu district and 6th highest in Karnataka. The best time to trek is between Oct – Feb as the weather is cool and perfect. 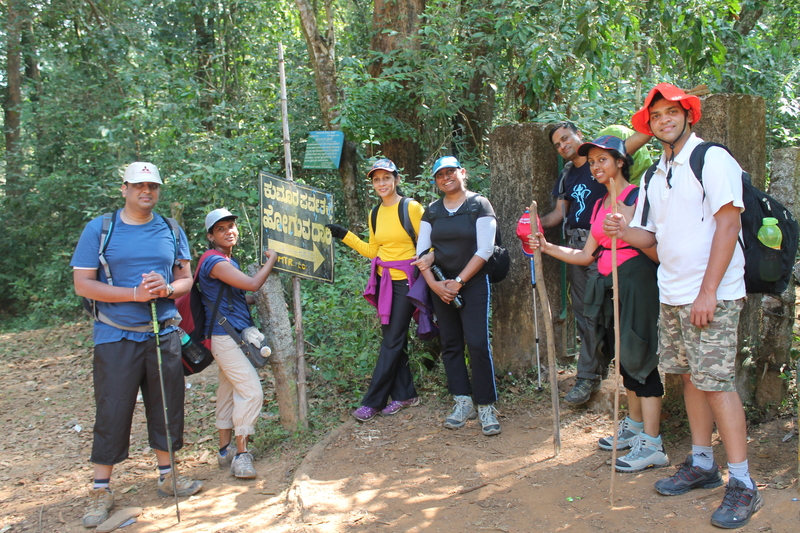 We were a group of 8, amateur and experienced trekkers brave enough to take on the road ahead .Kukke Subramanya is a small temple town which is 230km from Bangalore. Subramanya temple is one of the pristine pilgrimage locations in India. 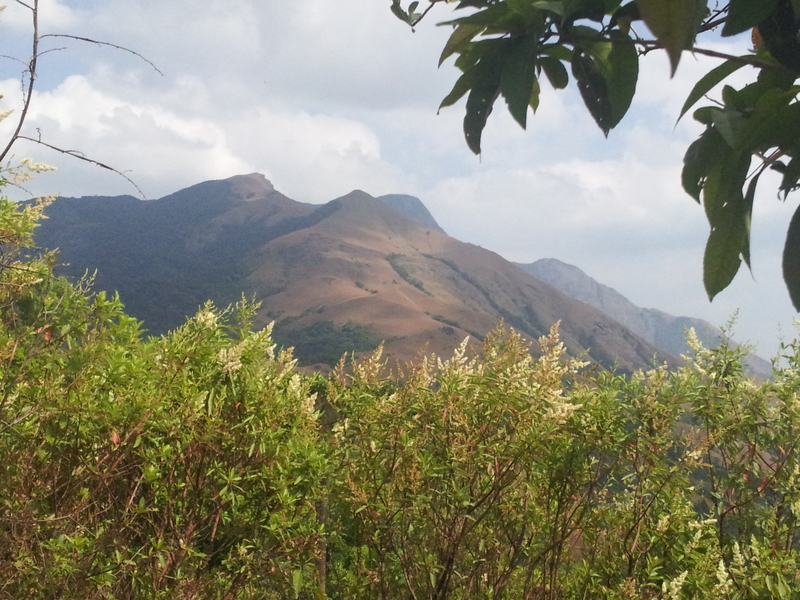 Overlooking the temple is the Shesha Parvatha and Kumara Parvatha peaks. And is a popular trekking destination owing to KP. 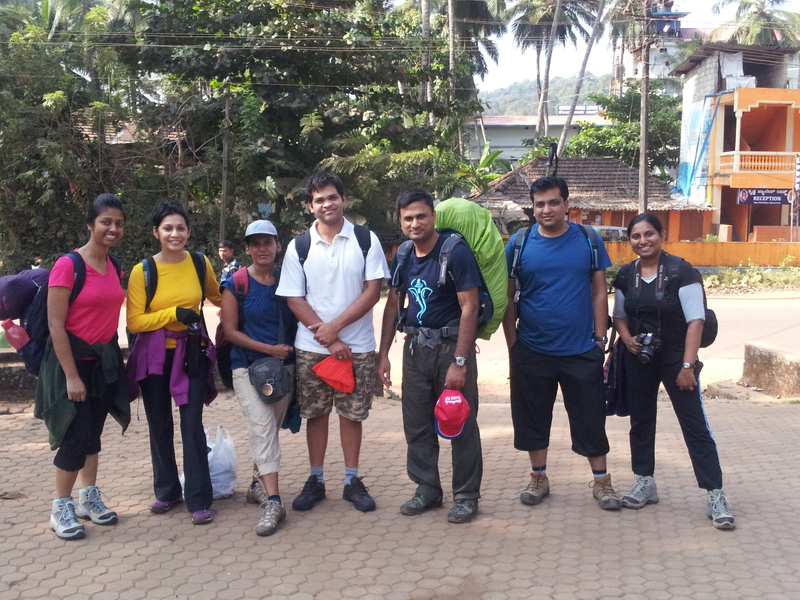 We boarded the Kukkeshree Travels from Bangalore on a Friday night ( 11:45 PM) and reached Kukke at 8:30 AM , Saturday. There are a few hotels about 500mts from the bus stand . We took a couple of rooms in one of the hotels to freshen up and get ready for the trek. And after a mini breakfast at one of the hotels just opposite the bus stand we started off at around 11:00AM. The trail is of 13kms one way. The trek is difficult and challenging as it is a steep climb throughout and the last 7kms of the trail is under the open sky through grasslands so, with the sun beating down on you, it is really exhausting ! 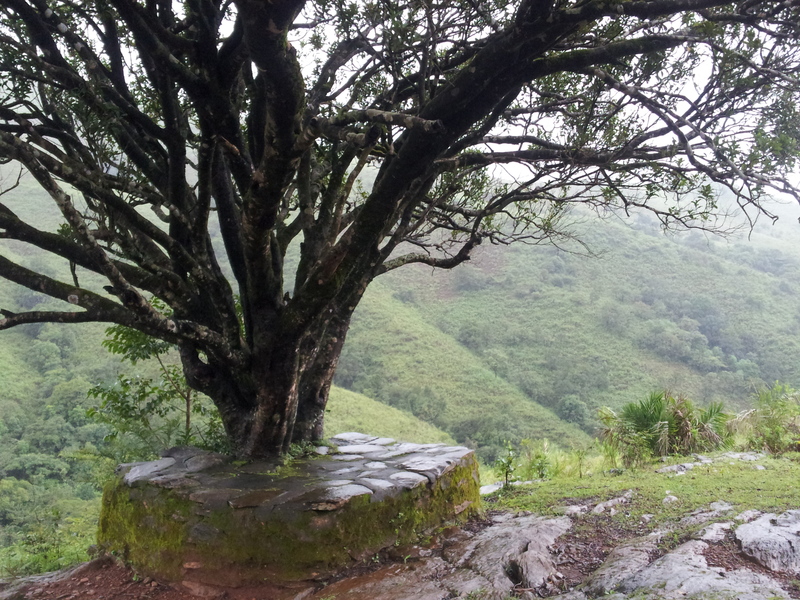 Bhattaramane is the only Oasis / house you can find throughout the trail and is found after completing 6kms of the trek. And it is the only point of access to Food, water, accommodation( if you have not got tents of your own). 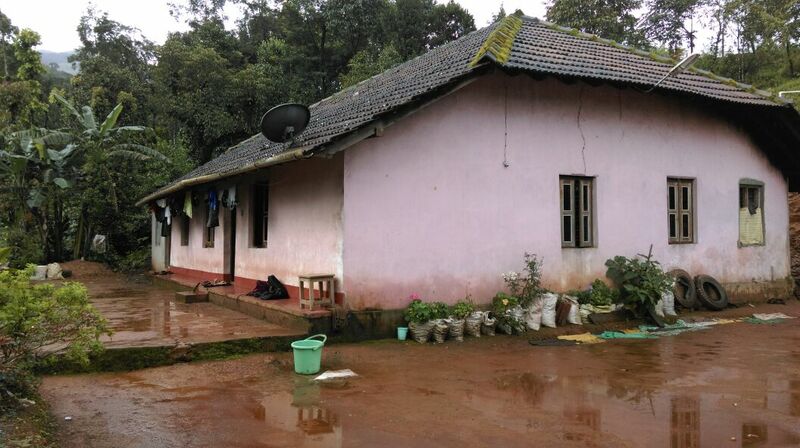 And the stay at Bhattaramane has to be booked well in advance as it accommodates around 15-16 people alone. For all the amateurs, the best bet would be stay at Bhattaramane before you go on further ahead. Aiming to take on the peak in one day is utterly stressful and the chances of reaching the peak and enjoying the view may be lost. 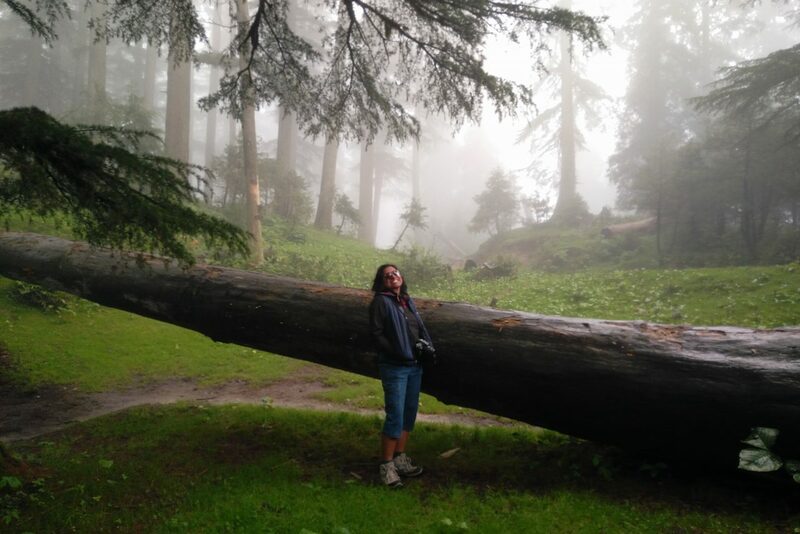 The trail starts right next to the temple and leads to a winding road of about 1.5kms where the forest area begins which marks the start of the Kumara Parvatha trek. 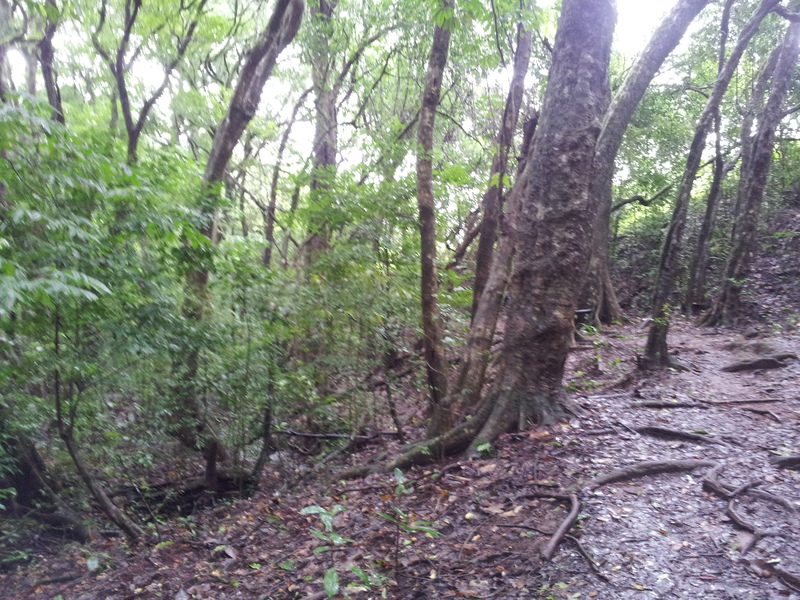 The trail is through a dense forest but its an uphill climb and it drains out all the energy. 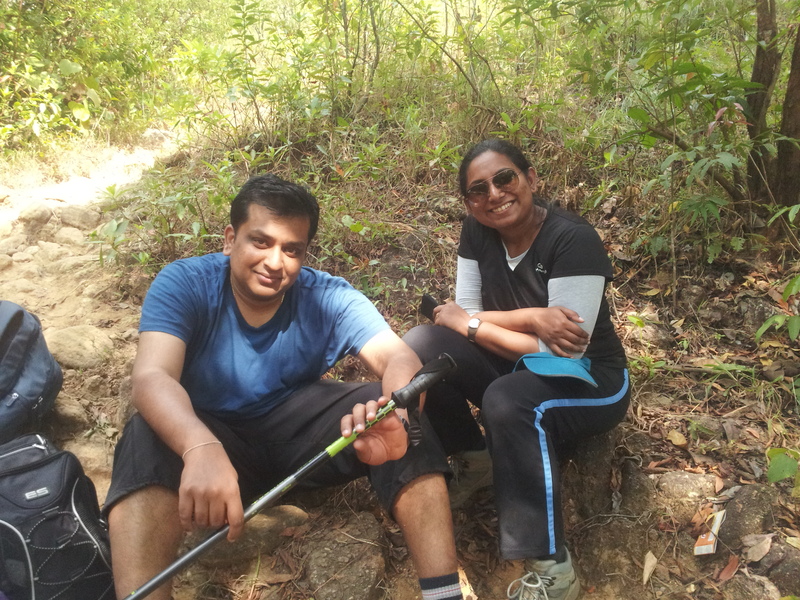 We enjoyed the trail thanks to all the snacks, Coke, glucose water which was the most refreshing drink ever. After almost 2.5hrs we rested at a big stone boulder to soothe our aching muscles , the limelight was the CUBAN COFFEE ! 🙂 After quenching our thirst we started again and after 45mins we reached the top where the trail gives way to open skies and grassland terrain. The sun was right on us which made it all the more difficult as we were thoroughly exhausted. 3 of us planned to rest for a while at a small area covered with trees. 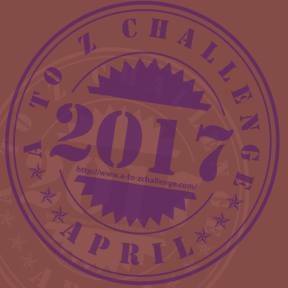 After a quick drink of glucose and electoral and a few clicks 😉 we started again with all our might. But much to our surprise , Bhattaramane was just 20mins off from there. 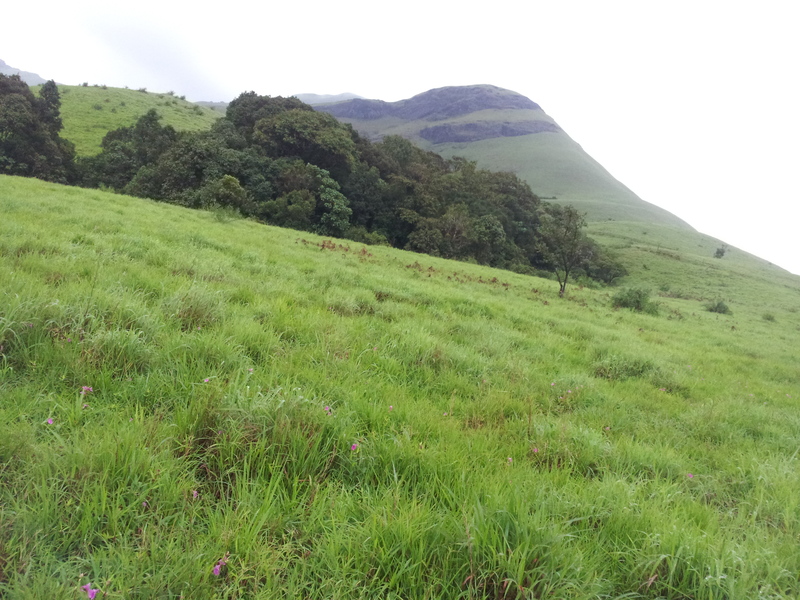 And at this spot you get to see the Shesha parvatha peak and Kumara Parvatha is hidden behind that. On reaching Bhataramane at around 3PM, we were welcomed with the aroma of food and of course a lot of other trekking groups who were headed to Kumara Parvatha that same day. We washed our faces with cold stream water and got to down to eating the most delicious and simple veg food of hot rice and sambar , pickle and buttermilk. It was the best food ever !! After lunch we had a small siesta and explored the gardens of Mr.Bhatt. 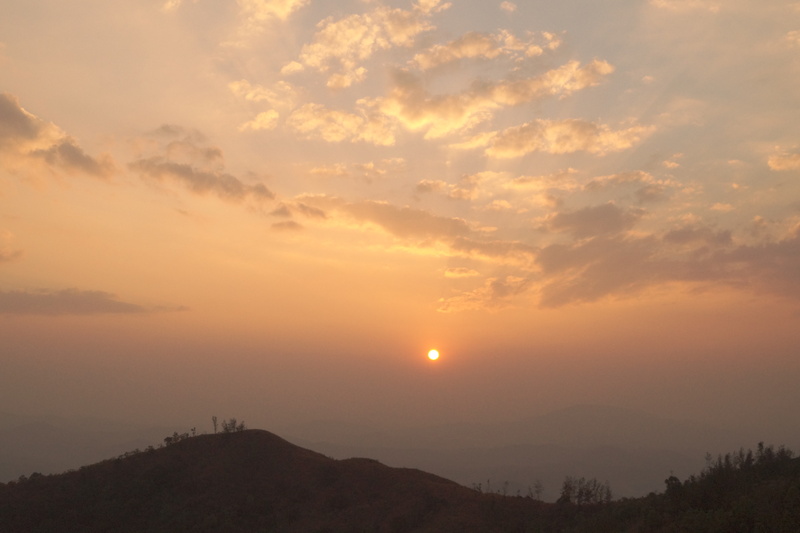 There are 2 man-made View points just about 200mts from the Bhattaramane and we went to watch the sun set for the day. As we saw the sun go by, we savored Haldiram’s Bhel Puri and posed for the photographers 🙂 It was an ideal, calm and peaceful evening as we watched the sun SET in all its glory and so did our tiredness and exhaustion. We later had tea at the Bhatt’s house and packed only the essentials for the next day as it was gonna be a long one. We packed our bags with loads of water, energy bars, dry fruits, a few snacks and of course glucose and electoral. We had our dinner and hit the sack early. We planned to start early and cover as much distance as possible before the sun was up and would bake us all royally. And owing to our exhaustion the entire day under the sun we wanted to make the most of the early morning weather. We started at 5:30 AM. About 300m from the house there is the Forest dept. office where we have to give our credentials and pay a registration fee. Once it was done we started off our climb. 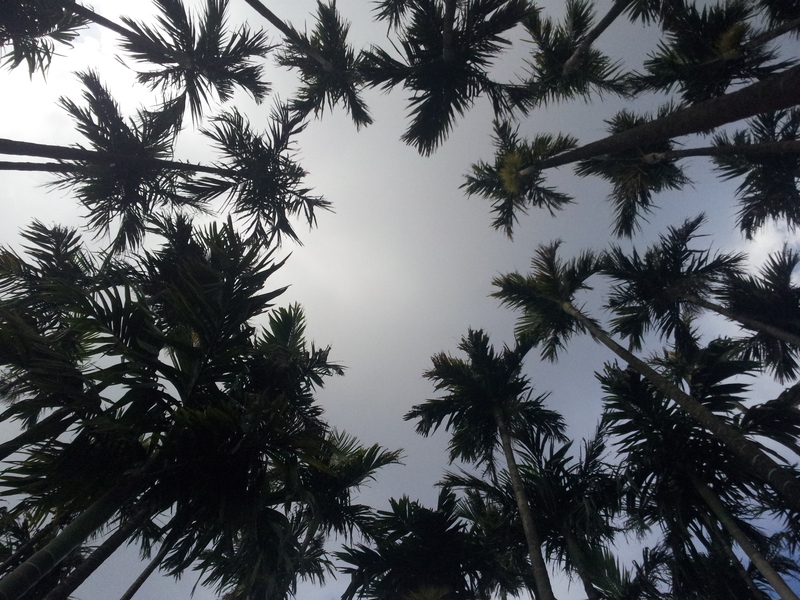 The weather was perfect and the view was beautiful and the place was serene. We held onto a good pace and were able to reach Kallu mantapa which is an open stone pillared structure and has a water source nearby the place and is a camping place for some trekkers. 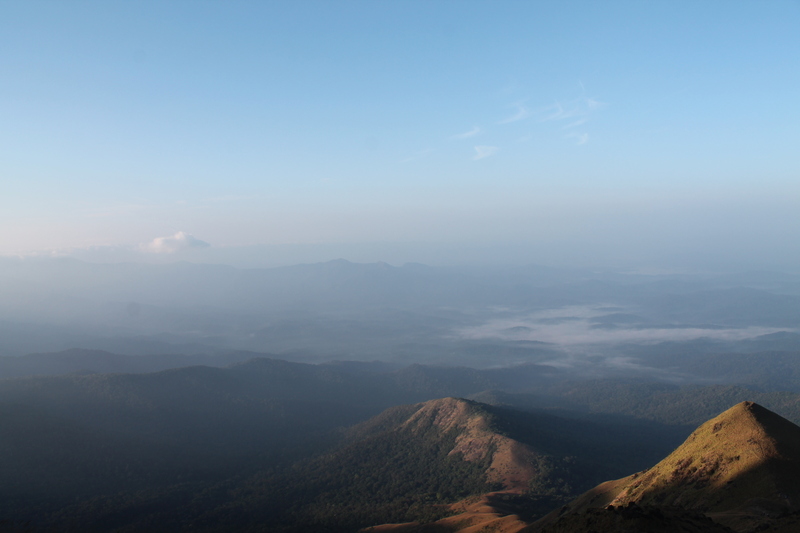 The last mile to Kumara Parvatha peak is through a small forest which gives way to a rocky terrain that marks the peak of Kumara parvatha. 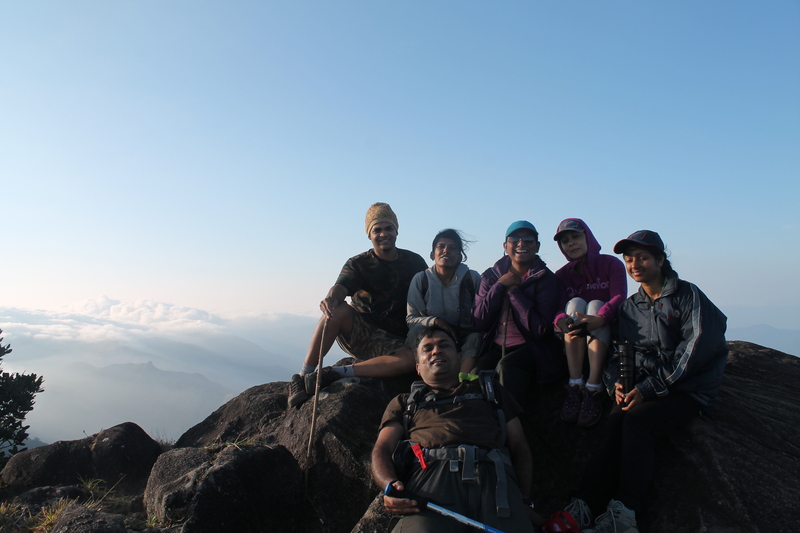 We reached the peak at 8:30 AM after 3 long hours of trekking. 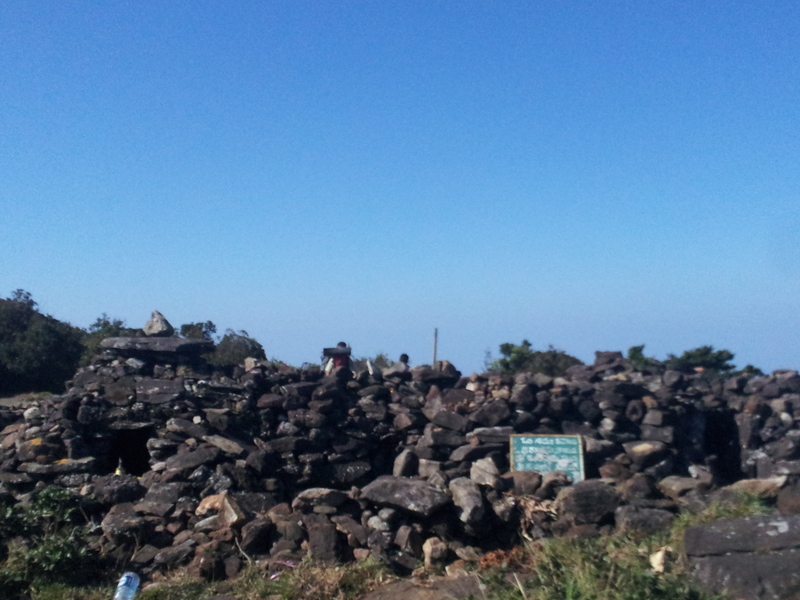 At the peak there is a sacred area of Lord Shiva’s Ling. Sacred area of Lord Shiva ling ! We were elated that we made it through the most toughest trek and celebrated with the Cuban coffee. 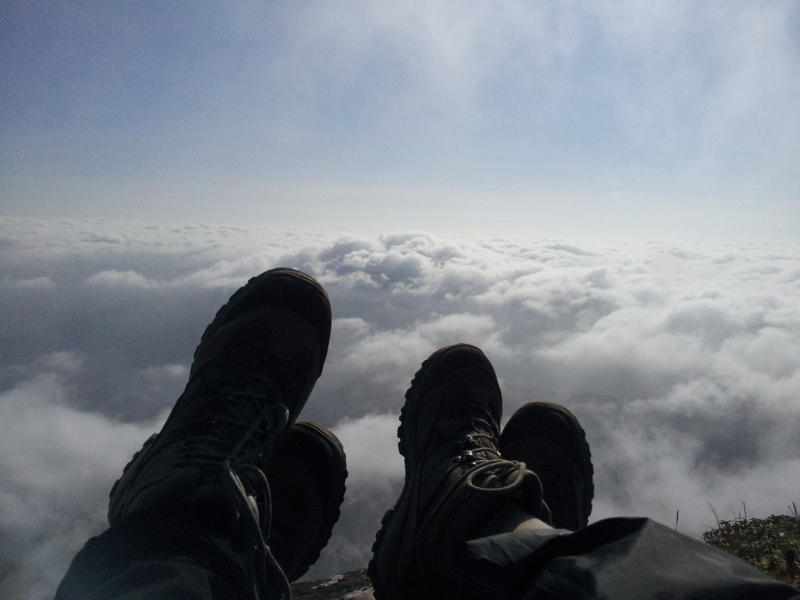 After exploring the peak we came across a View point from where we could see the passing clouds beneath us ! 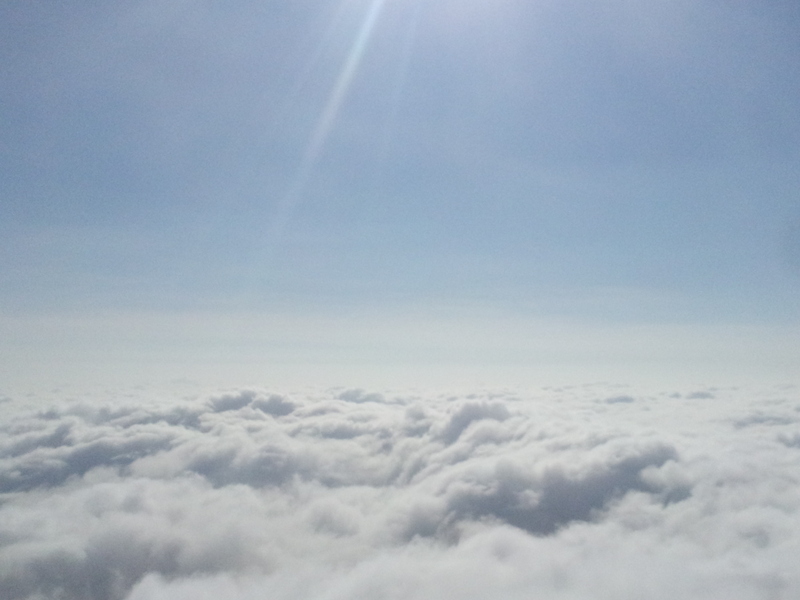 The view was amazing and marvelous. The world at our feet ! We basked at that very place for a while before we started our downward trek. The downward trail was more tough and the sun was now in all its glory. We were thoroughly exhausted by the time we reached Bhattaramane. 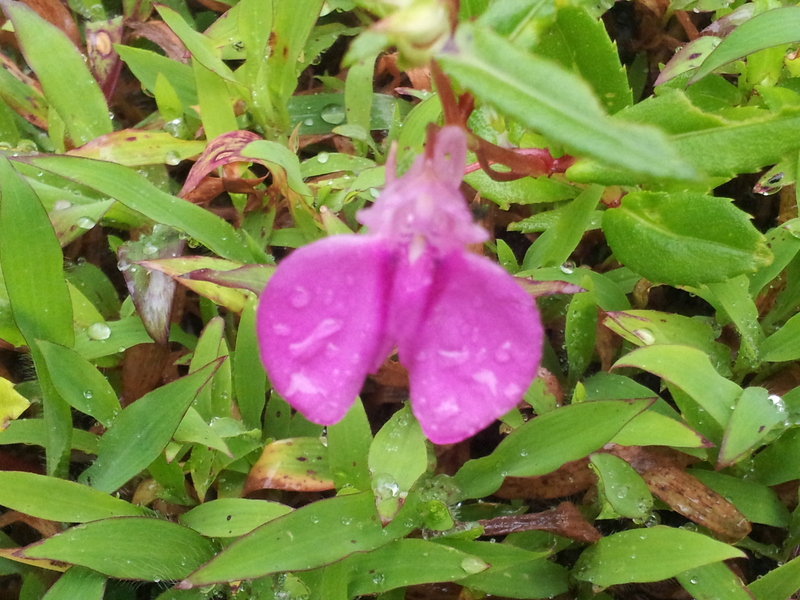 We had the sumptuous meal again and rested for a bit and then started off to reach kukke. Because of the heat it was getting all the more difficult and strenuous. We rested at frequent intervals and kept ourselves hydrated time and again and that kept us on the move. And we made it to the bottom around 6:30 PM. 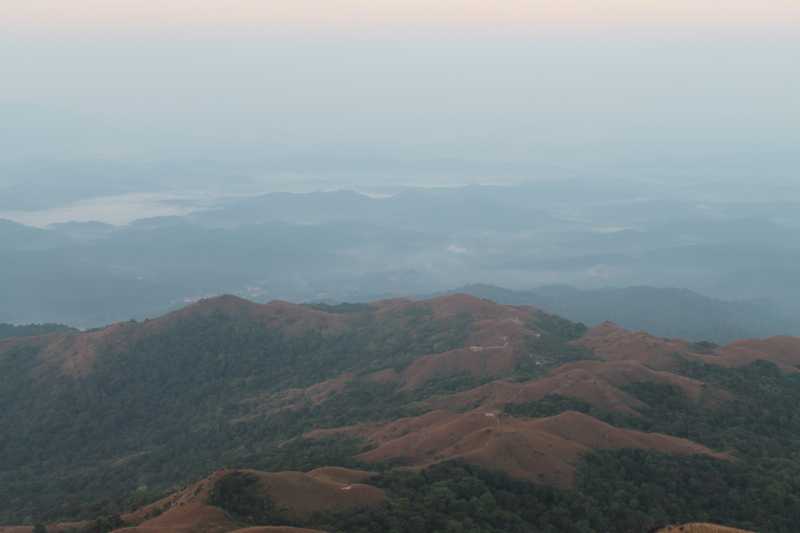 The entire trek was challenging but the strenuous trek did have its perks, for the view at the top was just beautiful ! 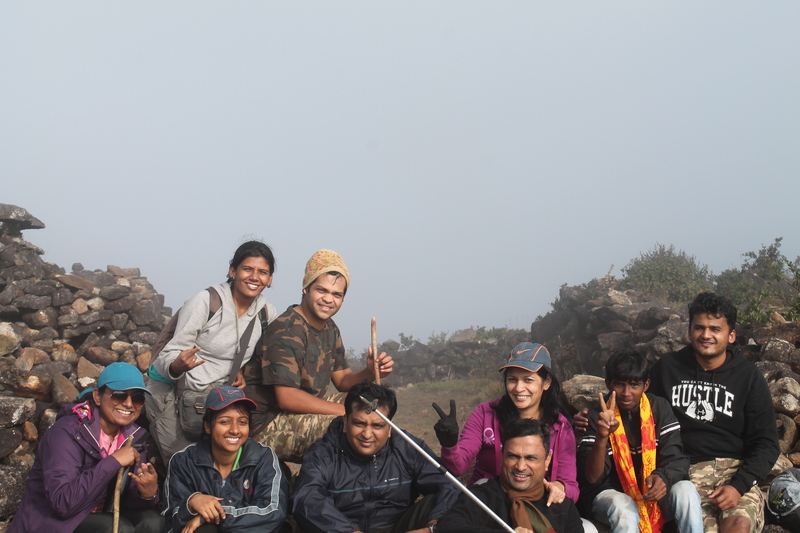 And the people with whom I trekked along were brilliant and could not have done it without them. Highlight was the “Swachh Bharat” Initiative which was being taken up quite seriously by a couple of them in our group. And Kudos to them for all the patience and effort ! I thoroughly enjoyed the trek though it was exhausting. The view and the company was the icing on the cake and made it all the more awesome! Carry a light backpack, more fluids( Glucose, Electoral is a must), a head torch, a cap, trekking stick.